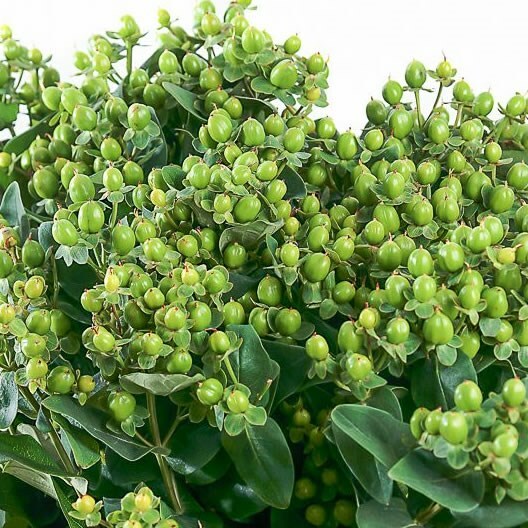 HYPERICUM MAGICAL VICTORIA, also known as st johns wort, is a pretty Green cut flower. Approx. 60cm and wholesaled in Batches of 25 stems. Ideal for flower arrangements & wedding flowers.